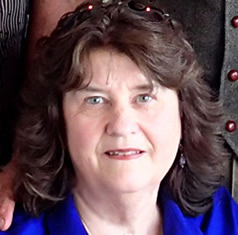 Judy Ferguson, a free-lance columnist for the Anchorage Daily News, Life and Arts, Alaskana page as well as an 18-year freelance columnist for the Fairbanks Daily News-Miner's Heartland/Sunday Section, is a well-known writer to Interior Alaskans. 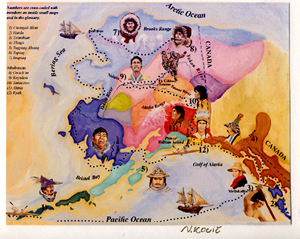 Judy's Alaska background, starting in 1968, sparked her writing. For twenty-four years, Judy lived a remote Alaska life-style on a homesite accessible only by boat and dog sled. There on the Tanana River, as well as on their trapline, she and her husband, Reb, raised three children. She and Reb still make their home in the Big Delta area near their homesite. Many of the stories below, describe that life, and the characters who made Big Delta. 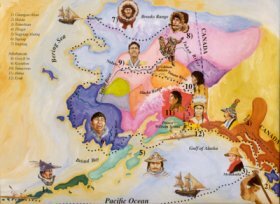 Today, an eclectic mixture of literary output characterizes what Alaskans and others outside the state know of this prolific word artist. Judy is able to communicate effectively with Alaskans and elicit from them the stories of lives that built the northern frontier we see around us today. Judy's books and regular columns provide a level of detail and empathy rarely seen, and provide a startlingly clear insight into the lives of pioneer men and women of this Great Land. All of Judy's seven books are now available as eBooks! 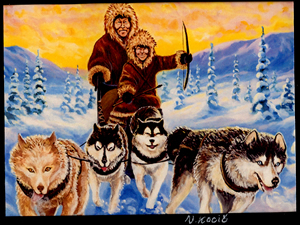 FAIRBANKS — One of Alaska's most prolific story collectors is retiring. Sort of. Delta Junction resident Judy Ferguson, who just published volume two of "Windows to the Land: An Alaska Native Story," said the amount of time spent gathering stories, transcribing them, getting books published and getting them sold is starting to wear her down, and she's ready to spend more time at home. "I want to look at the sunset, plant my broccoli and enjoy the Tanana flowing by," she said with a laugh. 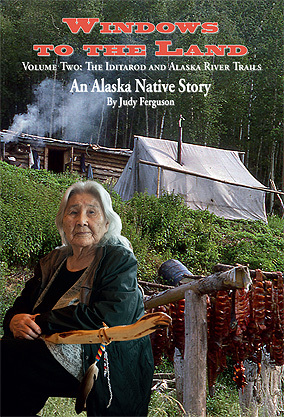 Ferguson, who first visited Alaska in 1965 and returned to stay in 1968, started collecting stories in 1975 during a trip down the Yukon River with her husband, Reb. She interviewed people along the way because, she explained, "It's just natural to me to want to hear people's stories and document who they are. 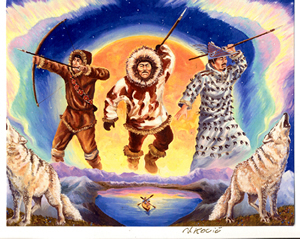 Hearing them is a very authentic way of knowing who we are as Alaskans and how we have evolved." Ferguson always wrote, but it wasn't until 1996, encouraged by a couple members of her church, that she started publishing. She began with a long-running column in the old Heartland section of the News-Miner where she documented her family's experiences of living off the land and soon started telling other people's stories as well. "I was new to writing, I was new to using a computer, and I didn't know how to do research," she recalled. "(Heartland editor) Patricia Watts mentored me for probably three years, God bless her." Around this time she was also asked to write a history of Rika's Roadhouse, a request she balked at initially, but accepted after prayer and further thought. When she discovered that onetime owner John Hajdukovich had immigrated to Alaska from Montenegro in 1904, her fascination was piqued. 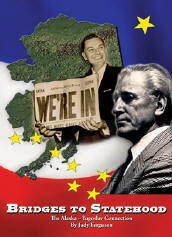 Having deep personal ties to the Balkans, she started digging into his life and was soon directed to a recording of Hajdukovich discussing his experiences and the history of the middle and upper Tanana and Goodpaster river regions. "I was so thrilled to cut through the veil of death and hear Hajdukovich himself telling the history," she said. "If there isn't documentation like that there's no way to know." This recording convinced her that people's stories need to be heard, prompting her career as a self-taught oral historian. Twenty years later, she has published countless columns in the News-Miner and Anchorage Daily News, four adult nonfiction books, a personal memoir and three nonfiction children's books. 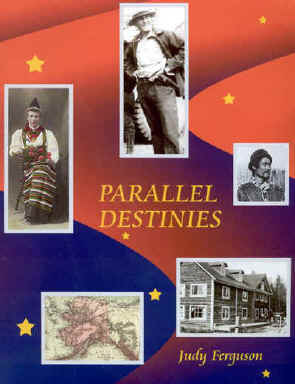 Ferguson's travels have taken her all over the state as well as to the Balkans where she sought out relatives of Alaska immigrants from that region and wrote sensitive accounts of their experiences during the wars that consumed the former Yugoslavia during the 1990s. By 2003, her focus had shifted to Alaska Natives and she started making a special effort at interviewing people involved in the Native rights struggle of the 1960s and '70s. "I knew the terms ANCSA (Alaska Native Claims Settlement Act) and ANILCA (Alaska National Interest Lands Conservation Act)," she said. "I lived through both. I remember the tug of war on both sides of the fence. But I wanted to know how all the pieces of the puzzle fit together." These stories led to volume one of "Windows to the Land" in 2013, which told the story of Native claims through the voices of those who fought for them. 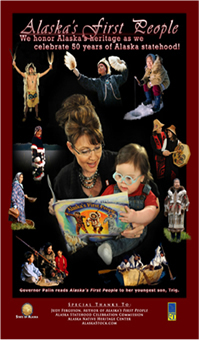 The more recent volume casts a wider net, exploring myriad aspects of Alaska Native life including interviews with Native competitive mushers, World Eskimo-Indian Olympics athletes and subsistence advocate Katie John. Discussing her motivations, Ferguson said, "I think it's abysmal that when we die that there is no way of knowing what went on in that person's life or the world at that time without a record being left." Ferguson works closely with the people she writes about, allowing them to review and edit stories to insure what is published is what they want to say. She expresses considerable gratitude to those who have shared their personal histories with her. "It's been my privilege to hear these people's voices, to know the stories. It's been gold to me." While she intends to slow down, she isn't quitting entirely. She continues to collect local stories for the Delta Wind newspaper. Speaking of her own experiences as someone who has worked hard on the land and left a legacy for Alaska with her extensive writings she said, "It's really been a wonderful life. I want people to know it's possible." 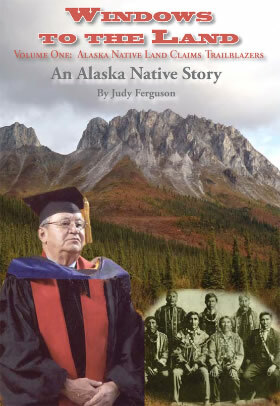 Judy Ferguson will be signing copies of her books this Saturday at Gulliver's from noon until 2 p.m.
On Sunday she will have a booth near the Yukon Quest booth at the Midnight Sun Festival from noon to midnight. Her website is www.judysoutpost.com.